Whether you are securing your home or business, perimeter security is often your first line of defense. Aside from the exterior of the structure, perimeter security creates boundaries to keep intruders out. 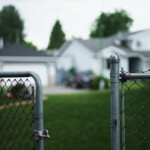 If you are considering perimeter security, there are numerous options available to you – here’s what you need to know. Locks are very important to perimeter security. If you have nothing protecting your property beyond the walls of your home or building, you will need to invest in strong, sturdy locks. The most common breach would be forced entry, which simply destroys the lock to gain access. To safeguard against this, you want to choose locks that make use of hardened metal alloys that are as thick as possible. Cutting attacks are common if you are using padlocks on your gates. Aside from the shackles of the locks, the hasp or chain being secured by the padlock may also be targeted for cutting. If these are weaker than the lock, the strength of the lock will not matter. When it comes to covert entry, bump keys are more of a concern than lock picking, as the latter wastes time and effort. The internal complexity for locks will help increase perimeter security and prevent unauthorized key duplication. Unlike a fence, walls provide more privacy as they better obstruct visibility. Higher walls mean lower visibility and a greater obstacle to gain entry. The downside is that the decreased visibility affects both sides, meaning that while outsiders may not be able to see in, you may not be able to see anyone approaching the property. Luckily, the visibility concerns for high walls can be resolved with the use of security cameras or other forms of documentation (such as security guards). Documentation is a key consideration (which will be discussed further), but it is not always feasible for some. In the end, it all comes down to the intention of your perimeter security. With a wall, you get more privacy and a sturdy barrier which allows you to put more focus on securing the gate. Fences offer extreme flexibility in that the price, look, and functionality have the most range. You can adjust the visibility by choosing different designs and even growing ivy or other plants around it. In extreme cases, most common fences may be easier to electrify, depending on the material of the fence. Unless you have concerns about automotive ramming threats, the fact that a fence is weaker than a wall may be a minor detail. However, fences may be compromised at certain points, whether from vandalism or wear, thus creating entryways which defeat the purpose of perimeter security measures. Even if the openings are not wide enough for humans, you run the risk of animal infestation or pet escape. Wood fences and chain link fences are often the most common types, and usually signify a boundary that others should not cross, or simply denote a property line. Fences alone are rarely high security, but with electrification or barbed wire, they can be somewhat intimidating. A gate is the moving section on a gate or wall that allows entry and exit through perimeter security. Because this is usually the only point of entry and exit around the perimeter of a building, the gate will need a locking mechanism. If you are planning on taking vehicles past the perimeter security, you may want to use a motorized track and electronic lock. For gates with less traffic or only foot traffic, choose a high-security padlock. There may also be a gate setup that allows you to use a deadbolt and or/keyed handle/knob. For effective perimeter security, a keyed handle/knob may not be the best choice. A deadbolt provides more security, however, the strength of the deadbolt must be considered. But keep in mind, if the lock is too strong, the material of the gate may be attacked, or intruders may simply climb over. Perimeter security systems should always consider lighting, and one of the first things to assess is shadows. Trees, pillars and other tall obstructions will create dark shadows for criminals to lurk. With proper light, you afford yourself the ability to see criminals approaching or attempting to bypass your perimeter security. Motion sensor lights are effective in that they focus attention and are often the choice for many residential buildings without security guards. For residents, a light turning on suddenly will often alert them of unexpected movement around the house. For those properties with high walls, or an obstructing fence, the abrupt light hopefully catches the attention of neighbors or pedestrians. Despite drawing attention, your security depends on whether or not bystanders or neighbors intervene. Everyone has an interest in preventing crime, but if someone is unaware of the threats or the victim, people may do nothing to avoid confrontation. It may behoove you and your property to get to know your neighbors and keep a lookout for each other. Some people may struggle with the decision of investing in a dog or an alarm system. While getting both is definitely an option, the decision will likely come down to your ability to take care of an animal. When it comes to alarms, you will want one that offers monitored security so that authorities can be notified in case of emergency. However, these notifications are only effective if response times are within the average time it takes to commit a break-in. If not, alerts and notifications are rather useless. A loud alarm may help to alert anyone who is around to the crime that is taking place. If you’re looking for more discreet notifications, a smart lock with access notifications might be the solution. This allows you to know when a lock has been opened, and can be extremely helpful if you suspect any internal threats. Most perimeter security systems rely on security cameras. They are largely accessible and are great for capturing evidence of threats and criminal acts. Before installing security cameras, you should know what is allowed and what is not. You must abide by the law when it comes to documentation efforts otherwise your footage will be useless and may even get you in hot water. When choosing cameras, you should keep your security intentions in mind. If you need footage that will hold up in court, you will need the right kind of camera to record quality video in that environment. You will need to consider glare from the daylight and possibly night vision. Also, you need to consider placement as you may need multiple cameras to adequately cover your perimeter. If you have more questions regarding security cameras systems and installation, feel free to call us at 888-203-6294. A positive natural barrier is something that offers another level of security to your property. This can be anything from the proximity to a police station to a single, long road leading to your home. Consequently, there are also natural barriers that prevent you from taking full advantage of your possible perimeter security system. For example, a treeline on the side of your property may offer a natural border, however, it may also help intruders cover their approach. Also, motion sensor cameras and lights placed in heavy foot traffic areas may produce lots of false alarms, becoming more of a nuisance than an effective security measure. Your best bet is to identify what works for you and what does not in terms of security. You shouldn’t invest in a method of perimeter security just to use it. Focus on the positive barriers and try to compensate for any negative barriers you cannot change. The consideration for aesthetics is to find a balance between it and your perimeter security. Rather than choosing to make the property look good and then incorporate security, you should be trying to make the security you need look good. If you are adding to your landscape or home, you should always consider how it will affect your perimeter security. It is best to opt for something with a neutral or positive effect, not something that will be a detriment. Who has access to your property is a very important part of making your perimeter security work to your benefit. Key control is a good starting point (numeric codes, RFID remotes, physical keys, etc.). With codes and biometric locks, your access control management software may make it quite simple to know who is entering the property and when. If any issues arise, it is easy to simply revoke privileges. Those who have access should be trusted individuals. You should be sure that they will not take advantage of your property and will take the necessary precautions to protect their key from being stolen or misused. Key control for physical keys can be taken care of by investing in locks with patented keyways. This will improve your protection against most forms of covert entry, but mostly it will prevent unauthorized key duplication. Which perimeter security methods do you find most effective? Share with us on Facebook, Google+, Twitter, LinkedIn, and Pinterest. Visit SecurityCamExpert.com to browse our selection of quality CCTV surveillance systems and learn more about our Installation and support services. It seems Los Angeles is continuing its efforts to shed light on cybersecurity in hopes to decrease risks all around. Initially, the city used federal grant funds to install tools to centralize cybersecurity issue monitoring. Now, officials have unveiled a cybersecurity initiative geared toward businesses and residents. The Los Angeles Cyber Lab (CyberLabLA) is a new public-private-partnership led by a Board of Advisors including Mayor Eric Garcetti along with top Los Angeles businesses and government officials. 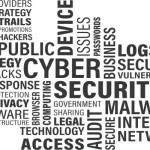 CyberLabLA’s mission is to protect personal and protected information from malicious cyber threats by sharing the latest cybersecurity threat data, alerts and intelligence gathered by those involved. Free membership will be open to all businesses and Los Angeles residents. While there have been threat-sharing partnerships in the past, none have emerged to address an entire region or small- and medium-sized businesses like this program plans to do. And despite the fact that companies in the same industry are more likely to face similar threats than those in unrelated industries, all businesses are expected to find value. Mayor Garcetti hopes that through shared knowledge of threats, regardless of industry, businesses in Los Angeles will be better protected. Still in its infancy, CyberLabLA will roll out in three phases. Phase 1 will begin with Protection and Alerts in which Los Angeles will share information generated from its Integrated Security Operations Center (ISOC) with all members. These updates include cybersecurity data, alerts, indicators of compromise and threat intelligence. Phase 2 will invite members to share data with the organization, sans confidential or proprietary information for added security. Phase 3 will develop the Cyber Lab Innovation Incubator (Incubator). 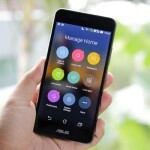 Security vendors will be able to test appliances and tools via virtual connections to a live, but isolated, city of Los Angeles network (“Honeypot”). The Incubator will be populated with student interns, affording them real world experience in a security environment. Eventually, the Incubator will generate additional intelligence and information to share with members. Initial advisors include Anschutz Entertainment Group (Staples Center), Cisco, Motorola, Cedars-Sinai, City National Bank, Dollar Shave Club and SoCal Edison. The city’s move to push cybersecurity as a public service will not only benefit businesses, but its effects will trickle down and help to protect customers and residents as well. What are your thoughts on CyberLabLA? Would you consider joining? Share with us on Facebook, Google+, Twitter, LinkedIn, and Pinterest. 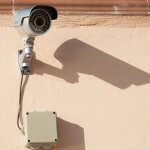 For your physical security, browse our selection of CCTV surveillance systems at SecurityCamExpert.com. To request a site survey, free quote, or to schedule an installation, please call 888-203-6294. 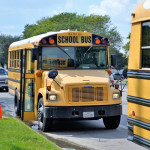 It’s that time of year again – summer is winding down and children are heading back to school. Thus, we must also deal with an increase in foot and street traffic. This can cause increased stress in some, which may result in dangerous situations and bouts of road rage. It is important to remember to proceed with caution. Take heed of these back-to-school road safety tips. When kids are present (especially in school zones and neighborhoods) before and after school, it is important to abide by speed limits and slow down. Always keep a safe distance between you and the bus (or any vehicle) you are following. This will allow you enough time and space to react to any of the bus’s intentions. And remember, it is illegal to pass a school bus that is stopped to load or unload children. The area 10 feet around a school bus is the most dangerous for children – be sure to stop far back enough to allow kids to safely enter and exit the bus. In school zones, near parks or playgrounds, and in neighborhoods, be more alert when watching for children. And always obey a crossing guard’s stop sign at intersections and crosswalks. When stopped at a red light or waiting to make a turn, avoid blocking the crosswalk. By blocking the crosswalk, pedestrians may be forced to walk around you, possibly putting them in the path of moving traffic. Always stop before the crosswalk line and watch for pedestrians. If there are dedicated pick- up and drop-off zones and rules, follow them. They are put in place for the safety of your children. Double-parking not only holds up traffic, but also reduces visibility for all, increasing the risk for an accident or dangerous situation. If you are letting your children walk to school, be sure to scope out the route beforehand. You want to make sure that the route offers good visibility, is relatively free from hazards, has plenty of pedestrian room at a safe distance from traffic, and involves no dangerous crossings. There should be well-trained crossing guards at every intersection your children must cross. Consider the available daylight when your child will be walking and always dress them in brightly colored clothing, regardless of visibility. If your children will be riding a bike to school, they must always wear a Consumer Product Safety Commission-approved helmet. Kids must also bike during daylight hours only, wear bright attire, and follow the rules of the road. Children under nine must ride with an adult and out of the road as well. It is up to the parents’ discretion whether or not older children may ride bikes in traffic. Share your own back-to-school tips with us on Facebook, Google+, Twitter, LinkedIn, and Pinterest. Shop our stock of quality CCTV security cameras and surveillance equipment online at SecurityCamExpert.com. To learn more about our products and services, or to request a quote or site survey, please call 888-203-6294.